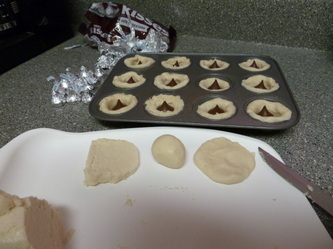 Killian's Kisses: Chocolaty goodness wrapped in sugar cookie love sprinkled with crystalline magick. This recipe was meant to be easy. Life is hard, making goodies shouldn't be. 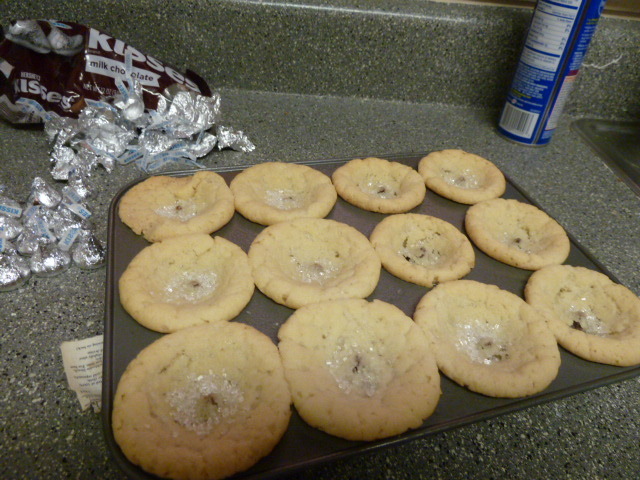 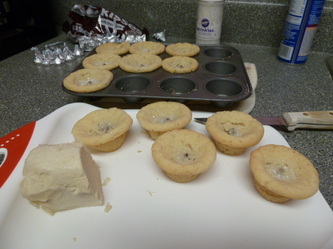 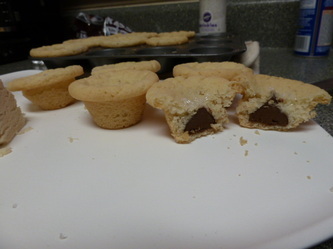 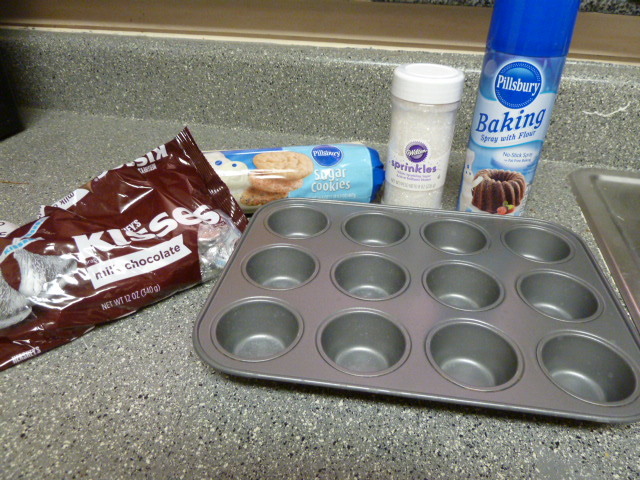 Things you'll need: tart pan, baking spray, sugar cookie dough, chocolate kisses, and sugary sprinkles.